Oh…Kate Spade, Kate Spade…could I love any other designer as much as I love you? If you’ve followed my posts, you’ve probably noticed that I have a teensy lil’ crush on Kate Spade. Ok…so it’s a borderline obsession. I really can’t help myself. I love almost everything that displays a Kate Spade label! So much so that I must deprive myself of looking at the website because of my weakness to buy too much and spend our “vacation money” as my husband likes to say. Sadly, today I was feeling needy – due to the atrocious weather we are having I’m sure – and decided to take a quick peek. What I found…was too wondrous to describe. 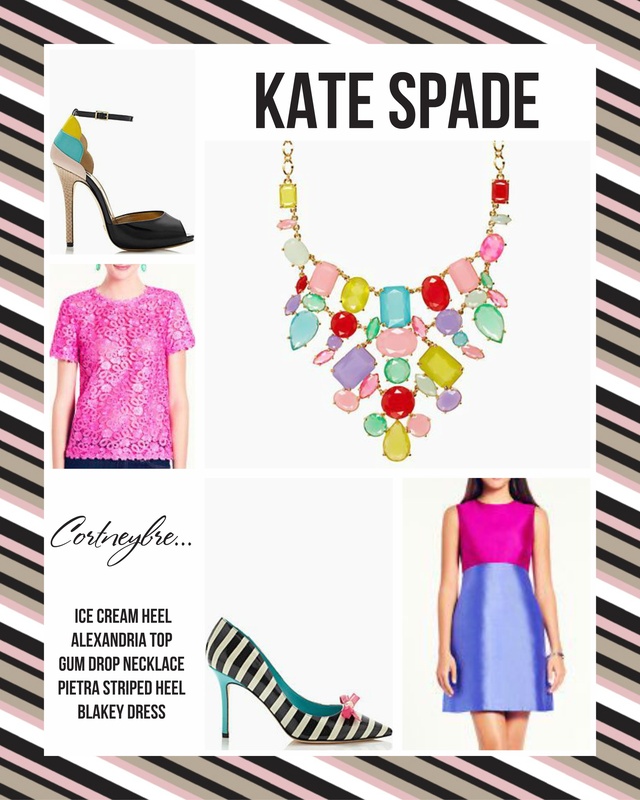 Beautiful colors, patterns, textures and even ice cream heels and gum drop necklaces! It’s like a Willy Wonka movie inspired wardrobe (and in a good way)! I’ve posted some of my favorite pieces below. I think I’m most excited by the shoes…they are quirky and unique and could totally transform any outfit.